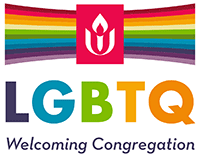 This group meets from 7:00 to 9:00 pm on Tuesday evenings from January 15 to April 2, 2019 at the UU Church of Bowling Green. Join this group to develop or review your own personal credo, fundamental religious beliefs, values, and convictions that inform and direct your life. The ten sessions offer useful information, creative activities, and thought-provoking tasks that encourage participants to explore their beliefs about human nature, ultimate reality, history, ethics, and religious meaning. Note: Participants must purchase a text, approximate cost is $16. Please register by January 9th.